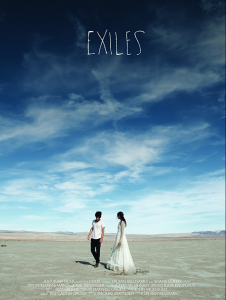 Michael Aaron Gallagher was an Associate Producer of Exiles Starring Troian Bellisario. 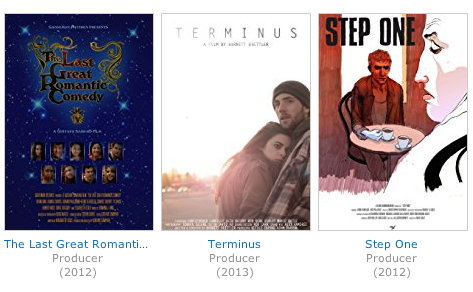 In 2011, Michael Aaron Gallagher took on a new role as a film producer. He was credited as an executive producer of two New York city-based independent short films, Terminus by award-winning director Barnett Brettler and Other Days by director Adam Gundersheimer. He was an associate producer of First Kiss by director Yulin Kuang and Step One written by Hollywood screenwriter Allison Burnett (Resurrecting the Champ) and directed by Max Gold. He was also a financial backer of the films Kids on the Run by director Nolan Wilson Goff and No Hay Nada Mas (an official selection of the Cannes Film Festival) by director Giovanni Solis. In 2012, he was an associate producer of Exiles, starring Troian Bellisario (Pretty Little Liars) and Shane Coffey (Pretty Little Liars), an associate producer of Through a Child’s Eyes by director Ashlee Rose Scott and an executive producer of The Last Great Romantic Comedy by director Gustavo Sampaio.